The seminar, “Analytic Bath and Additive Control Techniques”, took place at CIDETEC on 22 November. This eminently industrial workshop was given by GOMENSORO, a corporate expert in analysis and laboratory equipment. The “ICP-OES SpectroBlue TI” recently purchased by CIDETEC was introduced to the participants in the course of the event. 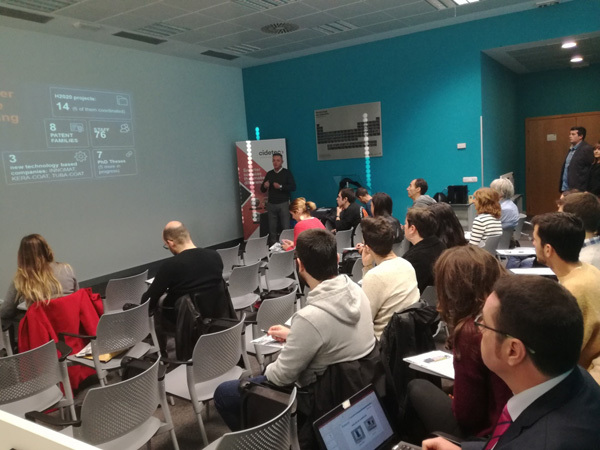 The seminar was attended by numerous companies interested in the significant analytical advantages of this technique, such as high resolution, solidity and analytical quality. They also had the chance to delve deeper into the concepts of sample preparation as a key stage in the analytical process. Seminar participants were able to conduct in situ analyses of real samples provided by the participating companies, discussing technical aspects of the equipment and of this analytical technique of great potential for analysing the compositions of baths, additives and/or solid samples.